How can I choose the right SSL certificate? We only sell online and our clients are more and more aware of potential attacks. We must take the right measures to ensure our exchanges are adequately protected and cannot be compromised. 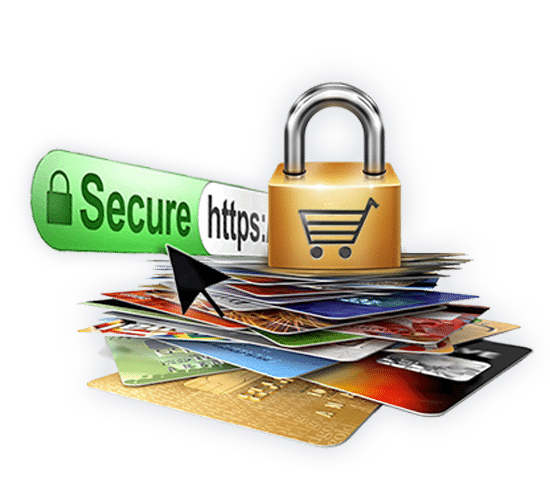 We are convinced that an SSL certificate is useful in that regard, but we also want to reassure our users by taking advantage of the best practices indicators provided by the latest generation of web browsers. We have been using an SSL certificate for quite some time but feel our choice is no longer in line with our growing business. Moreover, we know that some basic and free SSL certificates are out there nowadays which allow bad guys to create fake sites bearing the “padlock”. We need to do more so our customers can see the difference. SafeBrands is accredited by several certification agents, so their experts could present us with a full menu of options and we were able to choose the best version for our specific needs. We have chosen an Extended Validation (EV) certificate for our e-commerce website. The validation process is comprehensive so that the Certificate Authority can make absolutely sure our company is behind this domain name. As a result, our customers are greeted by our full company name which appears in green directly in the URL bar and know that, if it is not present, the site is not safe. Because SafeBrands is also a hosting provider they also helped us set up a UCC certificate for our MS Exchange internal mail server. SafeBrands’ solution allowed us to increase our security posture, both internally and externally. We were able to choose certificates perfectly adapted to our needs, at a reasonable cost. Our customers are using the site more and more, knowing that, thanks to the green bar, we are better equipped against Phishing, Pharming and Spoofing.